Law enforcement officers report today, that a man in his 30s was transported to a hospital after suffering harm in a car accident in Attleboro. The accident occurred when he lost control of the Jeep on Highland Avenue at approximately 9:00 p.m. on Friday. The vehicle also suffered injury. The accident is being investigated by police. There is no further information on whether another vehicle was involved. Countless numbers of motorists are hurt or die daily in single-vehicle accidents. It can happen from losing control of the vehicle or from distracted driving. It is easy to lay blame on the driver in each and every case. However, there are several single-vehicle accidents that can be determined as caused by something or someone other than the driver. 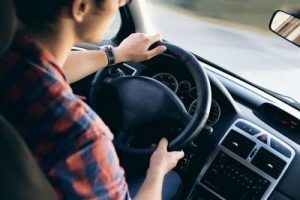 Some accidents that look to be single-vehicle accidents caused by the driver, are actually sometimes caused by another driver running them off the road. This can even occur where the driver swerves to avoid another negligent driver, and therefore, the “single-vehicle accident” would be caused by another vehicle. Mechanical defects and failures will also contribute to a single-vehicle accident. These failures include issues with a tire or power steering, and often result in rollover accidents. If a driver is operating the vehicle safely, and the rollover still happens causing injury then the fault is on the manufacturer. Although, drunk driving accidents do not necessarily make one think of third-party liability, it can exist. This would be what is commonly known as covered by “dramshop laws”. This is where it becomes against the law for an establishment to provide alcoholic drinks to an individual that it already intoxicated. If this happens, and the establishment knows the person will go on to drive, they are allowing a dangerous scenario to take place on the road. This makes the establishment and employee(s) liable for any injuries caused by the drunk driver. If you have been injured in a single-vehicle accident and know that you did not cause it, call the Law Offices of Jeffrey S. Glassman at (617) 367-2900 and tell us your story.